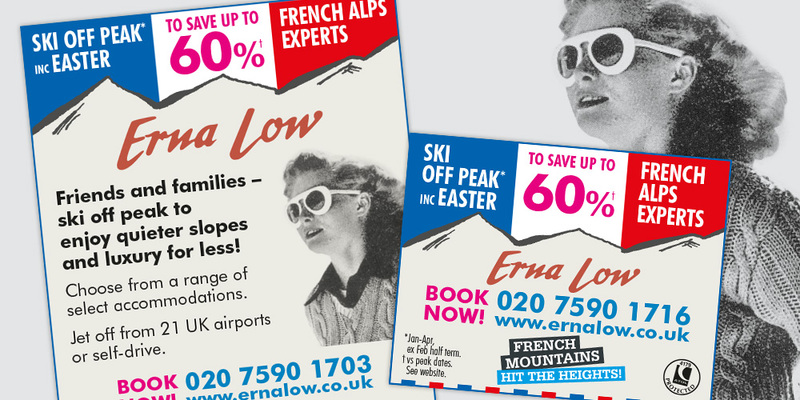 As one of the UK’s leading ski holiday specialists and largest self-drive tour operator to the French Alps, Erna Low offers quality holidays for the discerning traveller, at affordable prices. Precision were approached by the client for help with driving sales during off-peak periods e.g. ski holidays to the French Alps from January to Easter 2015 (excluding New Year, Half Term and Easter). After identifying media aimed at more affluent audiences and those which offered additional publications for skiing, we compiled a test schedule for a variety of ads in national press as well as leading media suppliers ski e-newsletters.